Our April edition of “Government Contracts Legislative and Regulatory Update” offers a summary of the relevant changes that took place during the month of March. On March 13, 2019, the Office of Federal Procurement Policy (OFPP) Cost Accounting Standards Board (the Board) invited public comments regarding a Staff Discussion Paper (SDP) on the conformance of the cost accounting standards (CAS) to generally accepted accounting principles (GAAP). Pursuant to the National Defense Authorization Act (NDAA) of fiscal year (FY) 2017 which amended 41 USC section 1501(c)(2), the CASB is required to review CAS and conform the standards, where practicable, to GAAP. To effectively analyze where CAS-GAAP conformance may be beneficial, the SDP proposes (1) “guiding principles that can serve as guardrails in evaluating the benefits and drawbacks of any proposed action” and (2) “a global roadmap to help the Board prioritize where it should focus its attention among the 19 CAS that are currently in effect.” The SDP reflects research accomplished to date by the CASB in these respective subject areas and provides a preliminary analysis of CAS 408 (Accounting for Costs of Compensated Personal Absence) and CAS 409 (Accounting Standard Depreciation of Tangible Capital Assets). The Board is specifically seeking feedback regarding the Board’s statutory requirement to conform CAS to GAAP. Respondents are encouraged to provide comments to the questions raised by the Board in the SDP, although the Board also welcomes identification and comment on any other important issues related to conformance of CAS to GAAP. The SDP can be found here. Comments on the SDP must be in writing and received by May 13, 2019. (84 Fed. Reg. 9143, Mar. 13, 2019). “It is policy that DoD will use AM [additive manufacturing], to enable the transformation of maintenance operations and supply chains, increase logistics resiliency, and improve self-sustainment and readiness for DoD forces.” Ellen Lord, Office of Under Secretary of Defense for Acquisition and Sustainment (OUSD(A&S)), Directive-type Memorandum (DTM)-19-006 (March 21, 2019) (available here). In a DTM, the OUSD(A&S) codified as policy what has been nothing short of a sea change in heavy manufacturing in recent years—the use of AM to produce parts faster, cheaper and more reliably than by traditional methods. DTM-19-006 provides “interim policy guidance and assigns responsibilities” aimed at ensuring the “safe and effective use of AM in DoD’s sustainment enterprise.” The DTM instructs the secretaries of the military departments and various DoD acquisition, sustainment, and research and engineering components to undertake a variety of activities (including review and development of policy/guidance, assessment of domestic industrial capabilities, and collaboration with private industry) in order to explore how the DoD can better leverage AM practices. In effect for just under a year, DTM-19-006 appears focused on paving the way for integration of AM components in DoD applications, though it will likely prompt additional specifications and quality assurance standards, at least in the short term. Contractors should maintain a watchful eye for changes in customer requirements, while proactively analyzing their own AM processes and those of their subcontractors. Are prime contractors or first-tier subcontractors with a contract, subcontract or purchase order of $50,000 or more; or serve as a depository of US government funds in any amount or a financial institution that is an issuing and paying agent for US savings bonds and savings notes. Reports must be submitted and certified by May 31, 2019. The preferred method for filing the EEO-1 Survey is though the online filing application. Contractors can begin the filing process by logging in here. On March 25, 2019, the Office of Federal Contract Compliance Programs (OFCCP) published the Corporate Scheduling Announcement Letter (CSAL) list, identifying contractors and subcontractors for potential compliance evaluation in FY 2019. CSAL provides advance notice to contractors and subcontractors if they have been selected for corporate management compliance evaluation (CMCE) reviews, compliance checks, Functional Affirmative Action Program (FAAP) reviews, and Section 503-focused reviews. The inclusion of Section 503-focused reviews is new and in response to OFCCP’s Focused Review Directive (DIR 2018-04) and compliance checks as outlined in OFCCP’s Affirmative Action Program Verification Initiative Directive (DIR 2018-07). Section 503-focused reviews will require on-site review of policies, procedures, and documentation of affirmative action obligations for individuals with disabilities. OFCCP publishes the CSAL 45 days prior to issuing the OMB-approved scheduling that signals the start of the audit. After receiving the scheduling letter, contractors have only 30 days to submit the required information to OFCCP. CSAL provides contractors with the opportunity to begin gathering the necessary data to demonstrate their compliance. Federal contractors should review the 2019 CSAL to determine if they have been selected for an upcoming evaluation audit. However, federal contractors should be aware that notification of a compliance evaluation through CSAL is not required by law, and contractors may still be scheduled for review despite not being identified on the CSAL list. In December 2002, Congress passed the Bob Stump FY 2003 NDAA. Section 806 of that law provided for the establishment of rapid acquisition procedures, which allowed for expedited procurement of critical items “urgently needed to react to an enemy threat or to respond to significant and urgent safety situations.” See FY 2003 NDAA, Pub. L. 107-314. To address compelling national security needs requiring the immediate initiation of a project under the rapid fielding or rapid prototyping acquisition pathways in accordance with section 804 of Public Law 114-92, as amended. Each category has $200 million in authority at the beginning of each fiscal year, but, importantly, no financial resources are reserved or made available uniquely for execution of RAA. Rather, the requesting component must identify funds in its execution year budget or request assistance from the DoD’s Under Secretary of Defense (Comptroller)/Chief Financial Officer. Exercise of RAA prompts certain congressional reporting and accounting requirements, and (in most situations) the RAA acquisition will transition to the normal acquisition system not later than two years following the date on which the RAA was granted. Rapid acquisitions, while rare, are a vital tool for meeting acute government acquisition needs; contractors are encouraged to familiarize themselves with the policies and procedures outlined in DoDM 5000.78. On March 22, 2019, the Department of Labor (DOL) proposed to update and revise regulations issued under the Fair Labor Standards Act (FLSA) implementing the exemption from minimum wage and overtime pay requirements for executive, administrative, professional, outside sales, and computer employees. The FLSA requires covered employers to pay employees a minimum wage and, for employees who work more than 40 hours in a week, overtime premium pay at least 1.5 times their regular rate of pay. The FLSA provides a number of exemptions to these two requirements. Section 13(a)(1) of the FLSA, commonly referred to as the “white collar” or “EAP” exemption, exempts “bona fide” executive, administrative, professional, outside sales, and computer employees from the minimum wage and overtime requirements of the FLSA. The statute delegates to the Secretary of Labor the terms of the white-collar exemption. The regulations implementing the exemption generally have required three things: (1) the employee must be paid a predetermined fixed salary that is not subject to reduction because of variations in the quality or quantity of work performed (the “salary basis test”); (2) the amount of salary paid must meet a minimum specified amount (the “salary level test”); and (3) the employee’s job duties must primarily involve executive, administrative, or professional duties as defined by the regulations (the “duties test”). The employer bears the burden of establishing the applicability of any exemption from the FLSA’s pay requirements. For an employee to qualify for the exemption the employee (1) needs to earn an annual compensation of $100,000 or more, which includes at least $455 per week paid on a salary basis; (2) must have primary duties that include performing office or non-manual work; and (3) must customarily engage and regularly perform at least the exempt duties of an EAP-exempt employee. The primary goal of the proposed rulemaking is to update the weekly salary amounts used by the DOL to define and delimit the EAP exemption, as required by the FLSA. In November 2016, days before the regulation would have become effective, a US district court in Texas found that the 2016 rule was invalid and issued a nationwide preliminary injunction against its enforcement. Due to the injunction, the DOL has been enforcing the 2004 $455-per-week standard, which the DOL recognizes needs to be updated to reflect current wages. The proposed rule will also address concerns identified with the 2016 rule regarding the salary level test which has been used as the dividing line between nonexempt and potentially exempt employees. Historically, the salary level test has excluded from exemption a large number of employees based on the reasoning that employees compensated below the salary level are very unlikely to be employed “in a bona fide executive, administrative, or professional capacity.” It is the intent of the rule to not set the salary too high or it would deny exemption to bona fide EAP employees. The rule proposes to increase current minimum salary level for white-collar exemptions to $35,508 annually, effective January 2020, and to increase the minimum annual compensation for the highly compensated exemption to $147,414 from $100,000. These levels would then be adjusted on a four-year schedule, completed through the notice-and-comment process. Should the rule become effective, the new classification would result in a large number of exempt employees moving to non-exempt status, requiring employers to respond accordingly. Employers and other members of the public are encouraged to submit comments on any aspects on the proposed rule. Comments are due by May 21, 2019. (84 Fed. Reg. 10900, Mar. 22, 2019). On March 21, 2019, the Department of Defense (DoD) issued a Class Deviation (2019-O0007) (Deviation) regarding accounting firms used to support DoD Audits. The Deviation implements Section 1006 of the FY 2019 NDAA via clause 252.237-7999 provided in the Deviation. This Section requires the Secretary of Defense to require any accounting firm providing financial statement auditing or audit remediation services to the DoD in support of the audit required under 31 USC section 3521 to provide the DoD with a statement setting forth the details on any disciplinary proceedings with respect to the accounting firm or its associated persons before any entity with the authority to enforce compliance rules or laws applying to audit services offered by accounting firms. The Deviation provides that all such statements will be treated as confidential provided the statements have been marked “confidential” or “proprietary” by the contractor. Statements marked will not be released by the Government to the public pursuant to the Freedom of Information Act request, 5 USC section 552, without prior notification to the contractor and opportunity for the contractor to claim an exemption from release. The Deviation will remain in effect until incorporated by the Defense Federal Acquisition Supplement (DFARS) or rescinded. (Class Deviation 2019-O0007, Mar. 21, 2019). On March 27, 2019, the House Oversight and Reform Committee passed a bipartisan bill, the Fair Chance Act (H.R. 1076), that would prohibit federal agencies and contractors from asking job applicants about their criminal history until after the applicant has been made a conditional employment offer. The bill codifies the “Ban the Box” policy developed during the Obama administration into federal law. Previously in 2016, the Obama administration had issued a series of regulations effecting the same policy as the bill but the regulations did not apply to private companies that do business with agencies, and could be rescinded administratively. The bill is in response to studies demonstrating that applicants who reveal their criminal histories at the beginning are significantly less likely to move forward in the job-hiring process as many companies pare down the pool of applicants based on these questions without reviewing a candidate’s qualifications. Should the bill be signed into law, federal contractors must prepare to revise their job applications for positions where the applicant may work on federal contracts. In recent years, the Federal Trade Commission (FTC) has assumed a leading role in cybersecurity enforcement in the private sector. Specifically, the agency uses its enforcement-action authority to hold private companies to account for data breaches by asserting that failure to comply with the Cybersecurity Framework promulgated by the National Institute of Standards and Technology (NIST) constitutes an unreasonable data security practice and, as such, is an “unfair” act or practice under the FTC Act. It is a legal strategy the federal courts have so far upheld. At a recent “fireside chat” hosted by The Brooking Institution, FTC Commissioner Noah Phillips made a public appeal for a national data breach law, while also noting the early signs of certain “anti-competitive” effects associated with Europe’s recent efforts to establish broad privacy legislation. “[C]ompliance costs are really expensive,” Commissioner Phillips noted, “and if you are a big firm, you can manage that. If you are a smaller firm, that can be a little harder.” The Commissioner went on to speculate that data security may be “important enough that we are willing to take a little bit of competition out of the market” but stopped short of offering a path toward a balanced solution. Rather, the Commissioner focused his comments on the constitutional case for federal preemption of the rapidly growing number of state privacy laws (like California’s much-discussed Consumer Privacy Act). Commissioner Phillip’s appearance comes on the heels of a recent hearing held by the Senate Commerce Committee, at which lawmakers considered legislation that would potentially “enhance the FTC’s authority and resources . . . to police privacy violations.” See Policy Principles for a Federal Data Privacy Framework in the United States Before the S. Comm. on Commerce, Science, and Transportation, 116th Cong. (2019) (statement of Roger Wicker, Committee Chairman). Most contractors are likely already familiar with NIST’s requirements due to the contractual obligations contained in clauses like DFARS 252.204-7012, Safeguarding Covered Defense Information and Cyber Incident Reporting. Even so, the potential expansion of FTC authority to “police privacy violations” could raise new, prospective compliance concerns for government contractors (and their wholly commercial segments). In March, President Trump sent his budget request for fiscal year 2020 (FY20) to Congress, including a request for $750 billion in funding for the Department of Defense (DoD). While congressional Republicans, including Senate Armed Services Committee (SASC) Chairman Jim Inhofe (R-OK), support full funding for the DoD in line with the President’s request, many congressional Democrats, including House Armed Services Committee (HASC) Chairman Adam Smith (D-WA), have endorsed a proposal to fund the DoD at the $733 billion level for FY20. At issue is that without a deal to increase defense and domestic spending caps for FY20, the Budget Control Act of 2011 (BCA) would impose a limit on defense spending for FY20 of $576 billion. As a result, the President’s request includes $576 billion in base defense spending and $174 billion in Overseas Contingency Operations (OCO) spending to account for the prospect of sequestration and avoid the need to increase the BCA-imposed cap for domestic spending in FY20. This is a non-starter on Capitol Hill for both Republican and Democratic defense lawmakers, who view the structure of the President’s DoD funding request as a gimmick. In response, a bipartisan group on Capitol Hill is working on a two-year deal that would avert sequestration and increase defense and domestic spending caps for both FY20 and FY21. The problem? President Trump and his advisors have telegraphed to Congress that the President would not support any deal that would increase existing domestic spending caps for FY20 and FY21. Nevertheless, lawmakers plan to forge ahead in crafting such a deal on defense and domestic spending to force the President to either acquiesce or carry out his veto threat. Now that Congress has in its possession the FY20 DoD budget request, HASC and SASC have commenced budget posture hearings as work begins on the drafting of the House and Senate versions of the National Defense Authorization Act (NDAA), Congress’ annual defense policy bill. Inhofe hopes to complete SASC consideration of the NDAA during the week of May 20, with full Senate consideration of the bill in June. On the House side, HASC Chairman Smith plans for committee consideration of the NDAA in June, and a vote on the bill on the House floor in July. Thereafter, a conference committee will be formed to reconcile the differences between the competing House and Senate versions of the bill. With a Republican atop the SASC and a Democrat atop the HASC, the two versions of the NDAA will have even more competing policy priorities than in recent years, when a Republican led both committees. This means that conference negotiations are likely to be more contentious and reconciliation of the two bills will very likely drag on longer than in the immediate past. Last year's enactment of the NDAA on August 13 was the earliest such bill had been signed into law in 40 years. It was also the first time in 21 years that the NDAA was signed into law before the start of the new fiscal year. 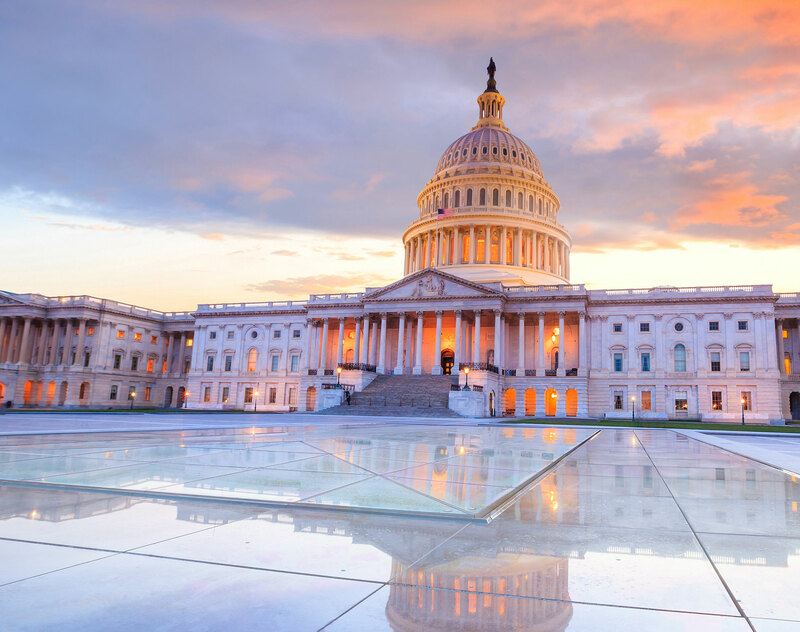 This year, Congress is poised to revert to the norm and pass the final version of the NDAA after the start of FY20 (which begins on October 1, 2019). As work on the NDAA continues, we will provide updates in this space on key provisions that have implications for government contractors that do business with the DoD.